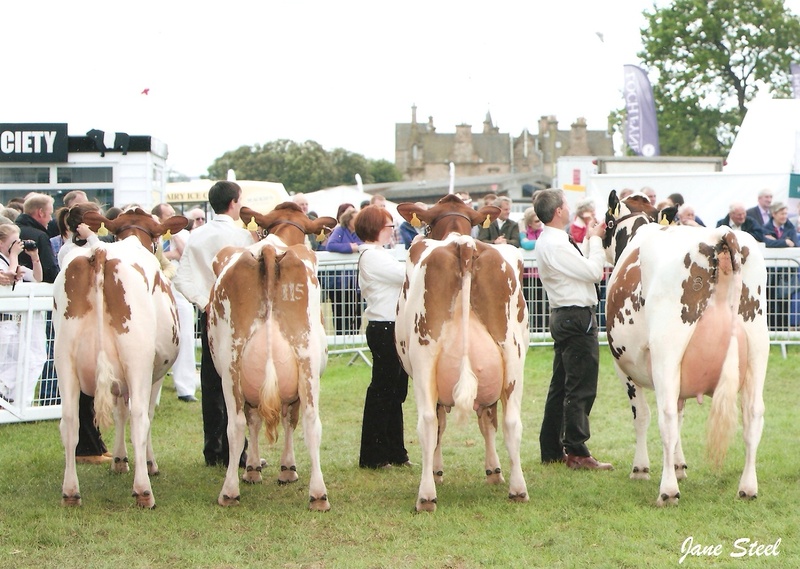 Our show team have had a successful trip to Edinburgh for the Royal Highland Show with Knockenjig Karma 9 winning the heifer championship. 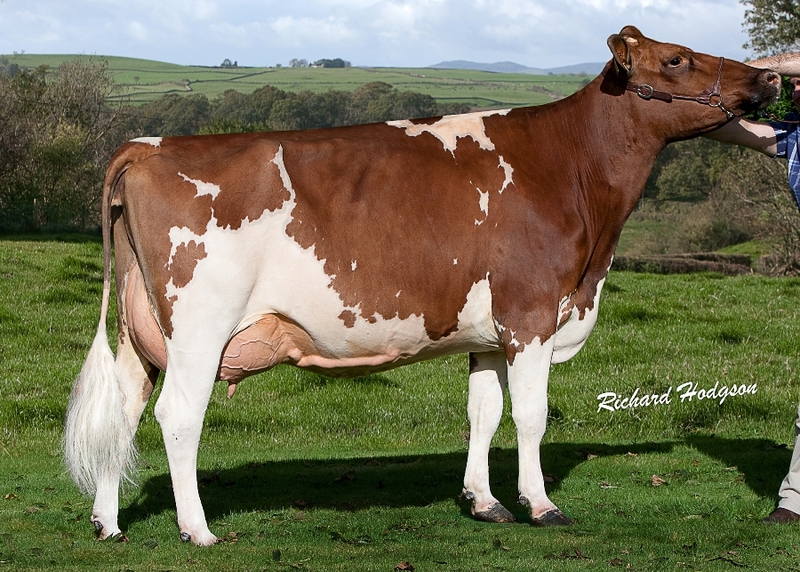 Sired by McCornick Nelson she is out of the Ex93 classified Knockenjig Karma 8, a Bankend Clear Horizon daughter. 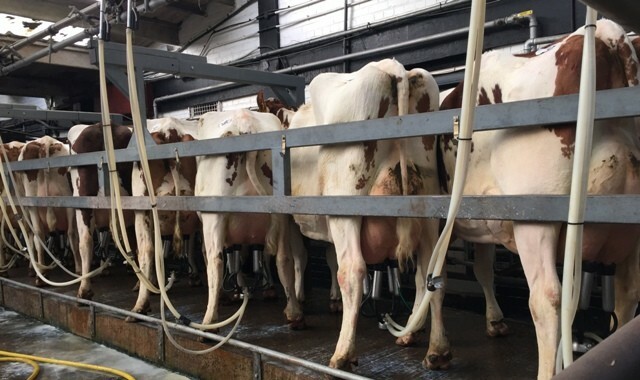 Having calved in April she stood second at Ayr Show in May. 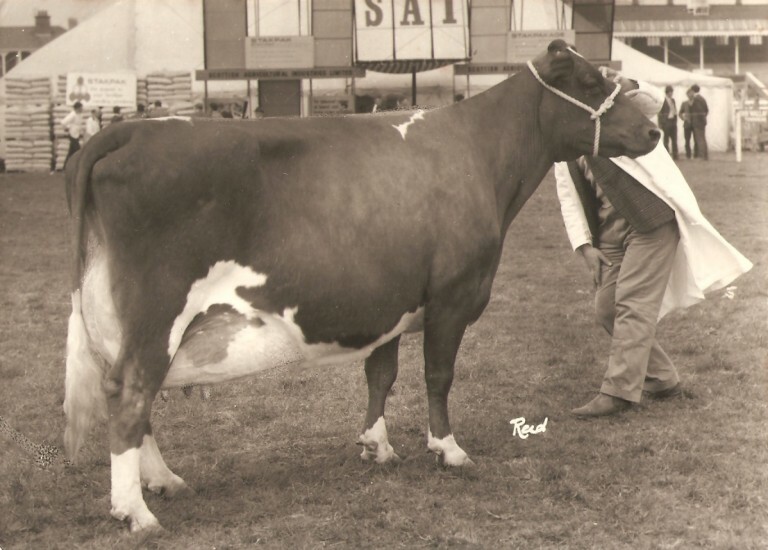 She was purchased her as a maiden heifer at the Knockenjig Dispersal 2009. 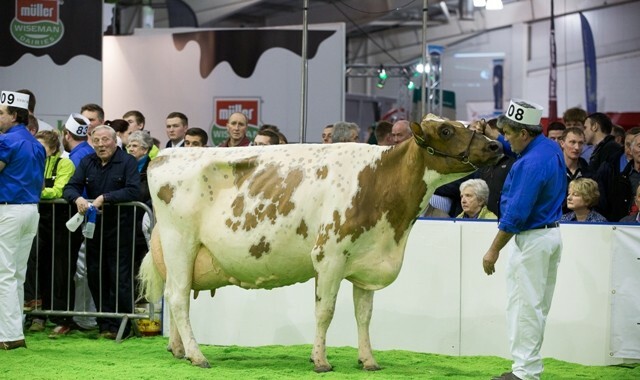 In the second calver class Halmyre Urr Floralin stood top of the line before going on to be reserve champion. 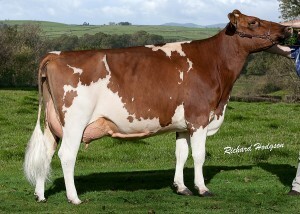 This Howie’s Inimitable daughter is out of a dam by Attwell Admiral. She was heifer champion at Ayr 2010 and Ayrshire champion at Ayr 2011. 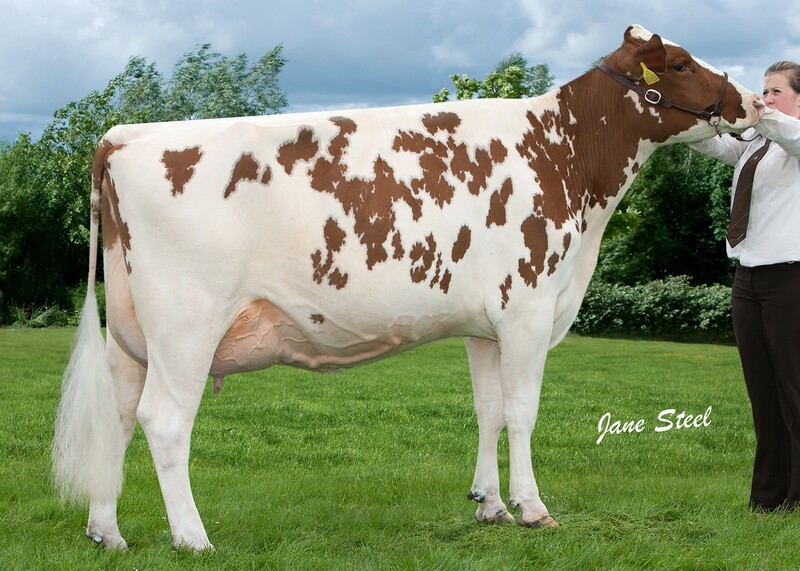 Standing third in the same class was Halmyre Urr Jinks 427, a Halmyre Urr Pinsent daughter out of an Ex90 scored dam by Halmyre Urr Jack. 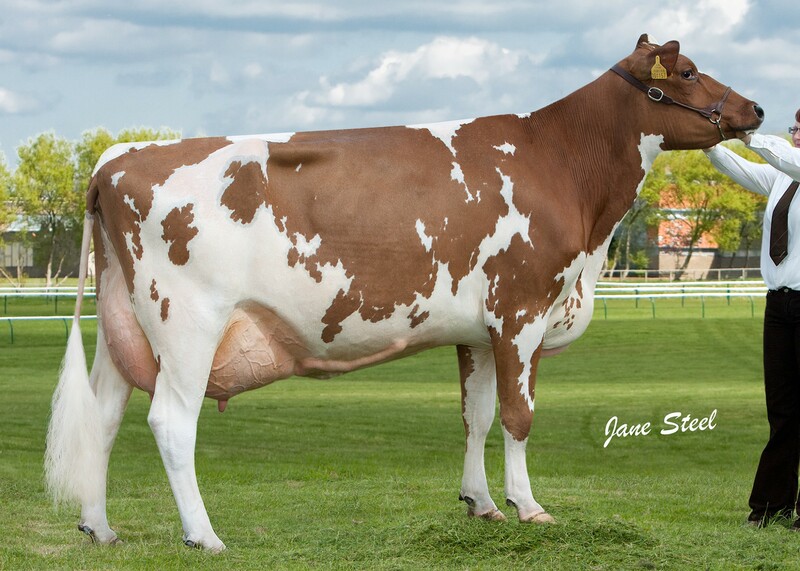 Halmyre Urr Showgirl 5 was third in the senior cow class, in her third lactation she is by Halmyre Urr Tom. Karma and Floralin joined the Barr family’s Calderglen Martha and the champion, Calderglen Silverbell 7 in the group of four to win reserve interbreed champion.